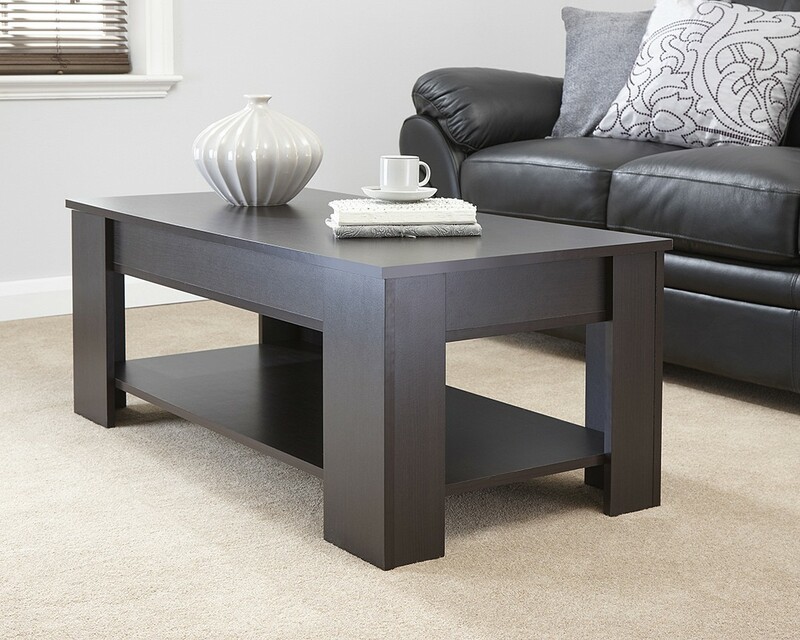 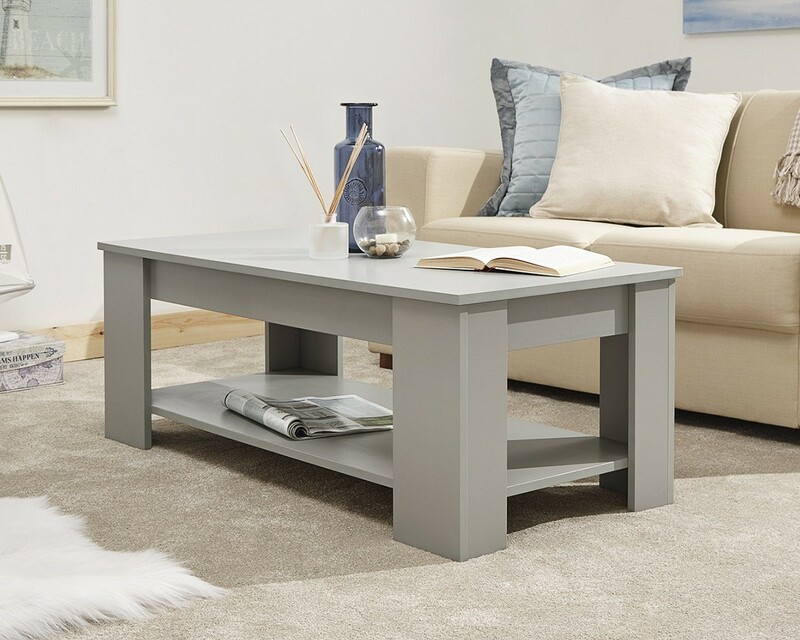 Lift Up Coffee Table is ideal for a contemporary style living room. 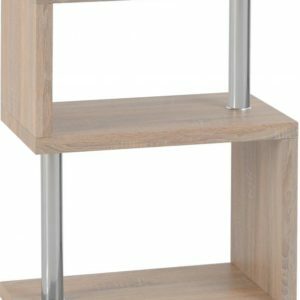 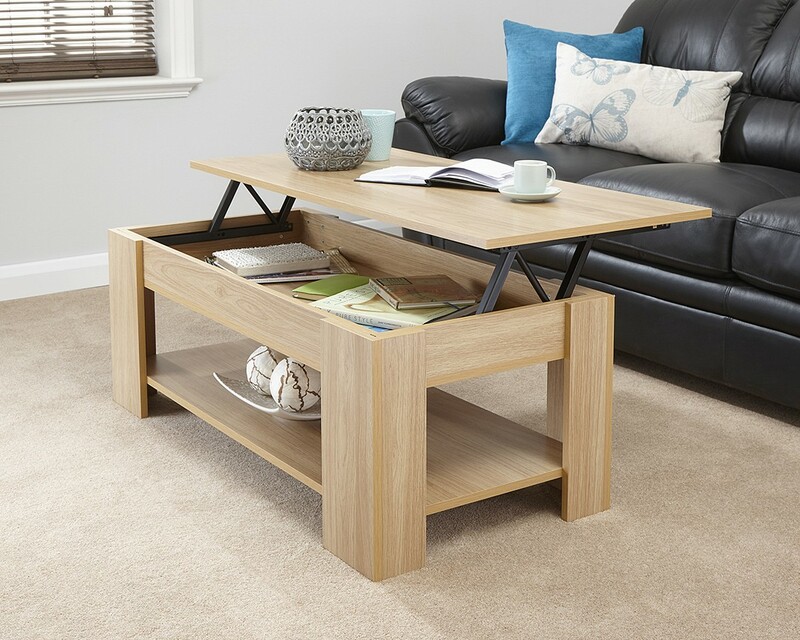 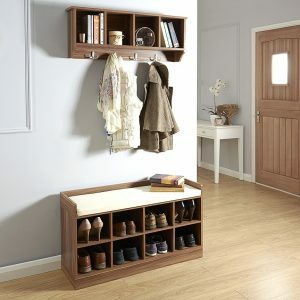 This A modern design of coffee table with an under shelf and lift-up table top which reveals a further storage area. 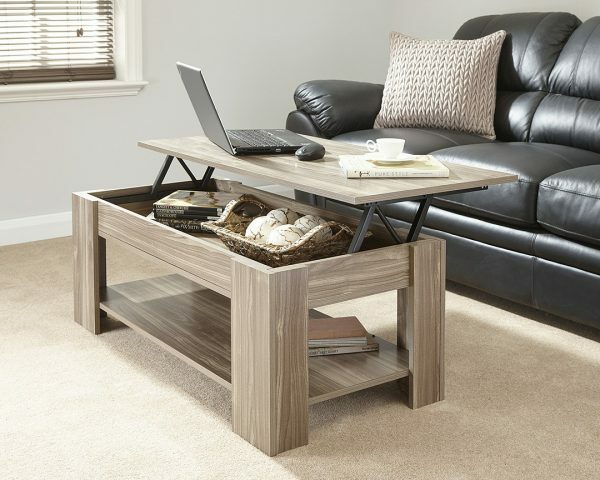 Practical use as a laptop table or even for TV dinners. 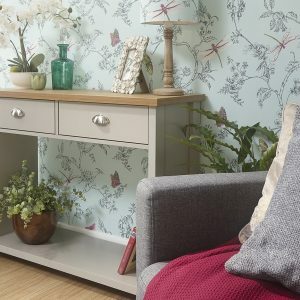 Available in 4 great finishes to suit most décors. 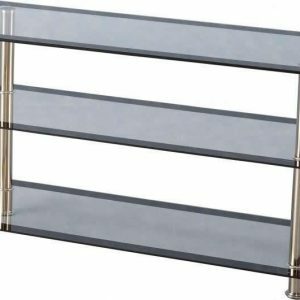 We also have the gloss coffee table available.